The original concepts outlined in this website were developed by permaculture co-originator David Holmgren and were first published in the Essence of Permaculture in 2002, the precursor to his full length book Permaculture: Principles & Pathways Beyond Sustainability published later that same year. The icons used in the book, and featured in this website, were a collaborative design effort by David and graphic artist Richard Telford – that’s me on the right. Richard continued to work with David and his partner Su Dennett after the icon designs in producing the Principles Teaching Kit (2005 & updated in 2010) along with a series of eBooks beginning with the case study of David and Su’s property ‘Melliodora’ (2005), followed by Trees on the Treeless Plains (2006) and Collected Writings (2007). Ricahrd proposed the Permaculture Principles website in 2007 as a way to introduce the concept to a wider audience and make these publications more widely available online. This coincided with David Arnold’s idea to produce a Permaculture Calendar, using the icons as a theme for each month. The calendar concept and website were launched together at the 9th Australian Permaculture Convergence in Sydney, March 2008. Inspired by Trish Allen’s Rainbow Valley Farm presentation at the convergence, Michele Margolis went on to develop the Permaculture Diary. Richard worked with Michele to produce the Diary together with the Calendar. The diary continued to be published until 2012, the same year that David Arnold handed the co-ordination of the Calendar over to Richard. Not long after the launch of this website Richard and his family purchased a small block of land in Seymour (Australia) to begin a project which illustrates the application of these principles to the redesign of a suburban home which they call Abdallah House. His family moved into the house in mid 2009, where he continues to add to the blog, host tours, maintain this website and design permaculture publications including the co-ordination of the Permaculture Calendar. He is also active in the local community, becoming a committee member in 2011 of the local ‘broad minded’ BEAM: Mitchell Environment Group, and became president of the group in August 2013. Richard began to work more closely with Oliver Holmgren in early 2013 to develop a new platform for the website. Bringing his background in permaculture, website building and apple computer tech support, this partnership slowly developed over the following years. Oliver’s role remained behind the scenes on techy and web system for some time. Richard continued to develop and update the website based on fresh examples and content annually from the Permaculture Calendar. Through Richard’s solid commitment to presenting the permaculture principles in a friendly and accessible manner with fresh examples every year, the PermaculturePrinciples.com site gained a huge standing in the permaculture movement with references and links from thousands of sites. Richard ran a low key shop on the site, operated out of a bedroom at Abdallah House, that offered the Permaculture Calendar,Permaculture: Principles & Pathways Beyond Sustainability and several other relevant titles. Sales of products from the site supported the authors/producers directly and provide a modest income for Richard that he used to finance the further development of the website and Abdallah House. Net proceeds (revenue less expenses) from sales of the Permaculture Calendar were and still are tithed (a 10% donation) toPermafund, which redistributes funds to permaculture projects worldwide. As the complexity and scope of PermaculturePrinciples.com expanded, so did that of other websites Oliver Holmgren was helping to maintain including David Holmgren’s site, Holmgren.com.au. In 2014 Richard Telford and Oliver Holmgren collaborated to streamline the operation and support systems for Holmgren.com.au and PermaculturePrinciples.com. With growing interest in permaculture books, both Holmgren.com.au and PermaculturePrinciples.com book shops needed a dedicated space. Richard began retrofitting of a backyard shed in Seymour. Mid 2015 saw the opening of the new “warehouse”. 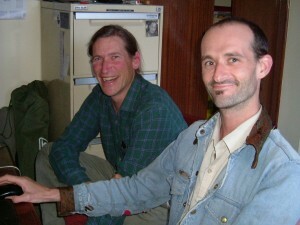 Richard and Oliver continued to develop their partnership operating PermaculturePrinciples.com and the shared systems. Richard’s passion to communicated the Principles of Permaculture and the ensuing site had become a big thing in more ways than one, with around a thousand people visiting the site each day and listing #2 for the keyword “permaculture” in the US, second only to Wikipedia. The growing sales of permaculture books from the shop section of the site helped to support Richard’s commitment to keeping the site’s content freely available. The Permaculture Principles icons and posters that Richard had developed are, and will remain, freely available under creative commons license. 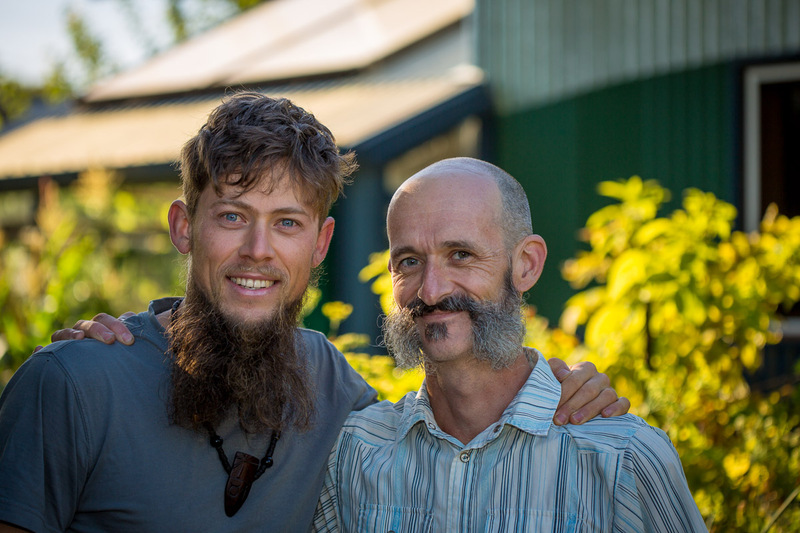 Into the future, Richard and Oliver are committed to continuing to develop the freely available resources communicating the Principles and Ethics of Permaculture as part of their vision to support people on the journey through Permaculture. CREDITS: We’ like to thank some people for their support in establishing and maintaining this website:David Holmgren, David Arnold, Alexis Nominé, Jenneka Kylstra and Michele Margolis. We’d also like to thank some of the many people who helped make translations for the website: Grifen Hope, Antonio Scotti, Richard Wallner, Kristen Lagadec, Nicolas Salliou, Patricia Bourguignon, Juliano Riciardi and Teresa Dominot – along with anyone else that I may have missed… may all your gardens be bountiful! Note: We have tried our best to credit contributors and make links up-to-date wherever possible. If you find something that needs correction or would like to give feedback please contact us. 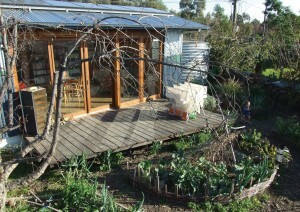 Permaculture Principles Pty Ltd (ABN 126 220 100 84).